The special was filmed in England not far from where David Bowie lived. So the producers asked the Thin White Duke to sing along-side Mr. White Christmas and this duet has become a staple of Christmas songs that are played every year at this time. Below are six online articles about this unlikely and kooky duet and then there’s the MBIP Coming Attractions for this upcoming holiday week! 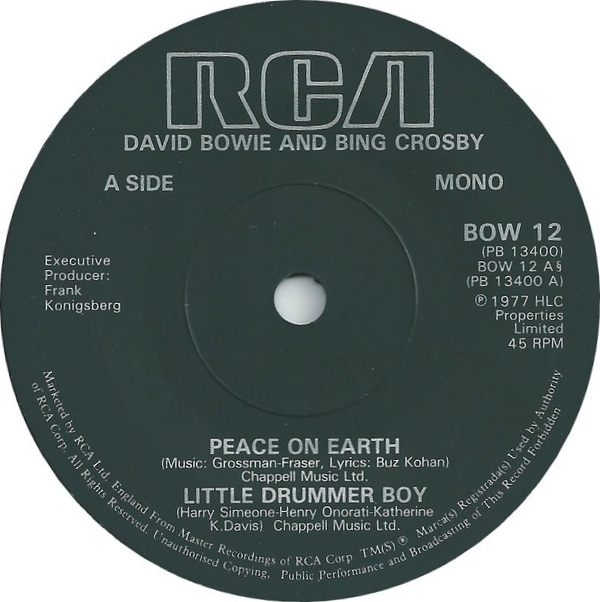 When David Bowie and Bing Crosby Rang in the Holidays - This article has a video of Bowie performing the song “Heroes” on the Christmas special. 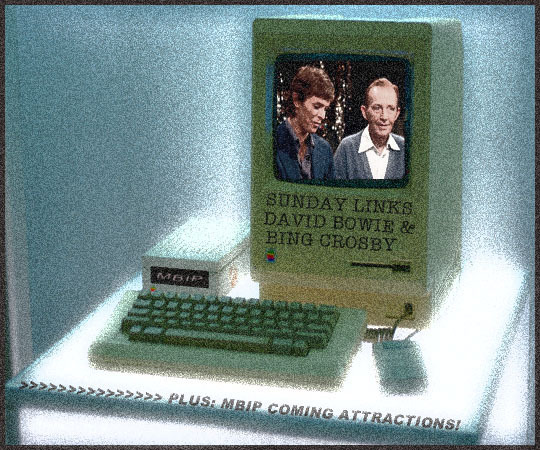 Why David Bowie Didn’t Want to Sing with Bing Crosby - This story touches on the fact that David Bowie mentions Harry Nilsson in his before-song patter with Bing Crosby. I always loved that he did that! The Story Behind David Bowie's Unlikely Christmas Duet with Bing Crosby - People magazine noted that Bowie’s mom was a big Bing Crosby fan and was one of the reasons David Bowie wanted to do this duet. Watch an Exclusive Behind-the-Scenes Clip of Bowie’s ‘Little Drummer Boy’ - The writer’s of the TV special talk about David Bowie rejecting the idea at first in this PBS American Masters video in a Rolling Stone article. 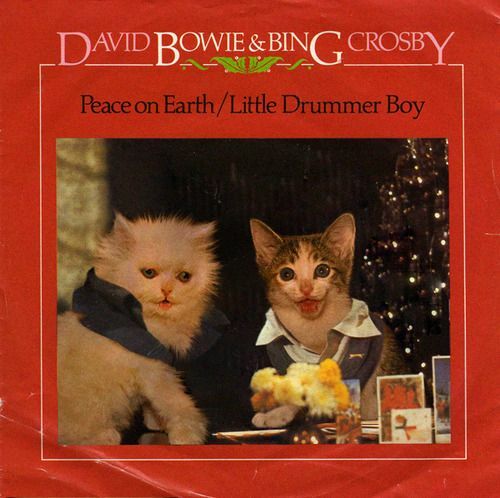 David Bowie, Bing Crosby and the story of the strangest Christmas duet ever - Ten interesting facts about this duet along with some related videos including an hilarious “Funny Or Die” Will Ferrell parody video! Tomorrow yet another tradition is spotlighted, it’s the Fourth Annual Nathalie & Marty Holiday Dinner @ Jim’s Steak House. Nathalie came into town last Friday and we had our fourth holiday dinner which was specially prepared by Chef Todd! Tuesday we have a special Christmas edition of our 13 month chicken eating tour so tune in to see where that takes place! Wednesday is going to showcase what could be Peoria’s longest running establishment to feature the Tom and Jerry Christmas drink. Thursday, Friday and Saturday will be three consecutive MBIP Retro Photos and links to past posts from six years ago. Have a fun Sunday and a happy and festive holiday week! Related Posts: Sunday LInks: John Lennon Shooting, A Charlie Brown Christmas and Sassy Magazine.